Employment insurance ("EI") and income assistance are two of the pillars of Canada's social safety net. Persons engaged in insurable employment can obtain EI benefits for a limited time if they become unemployed and meet all other eligibility requirements. They may also obtain income assistance once their eligibility for EI has expired, as may those who were not eligible for EI in the first place. Jay Brecher, B.A., LL.B.,is the Director of Subscription Content for LexisNexis Canada. 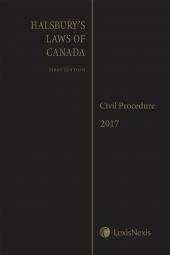 He oversees the publication of more than 1,500 releases per year for various subscription products, including loose-leafs, newsletters, law reports, and Halsbury's Laws of Canada. 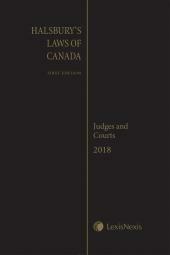 Previously, he was the Managing Editor of Halsbury's Laws of Canada, and in that capacity oversaw the successful completion of the Halsbury's collection (which now includes 117 discrete subject titles) in 2012. 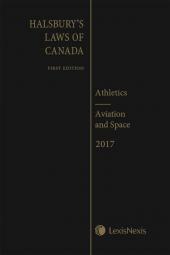 He has authored or co-authored several other Halsbury's titles, including Athletics, Civil Procedure and Judges and Courts.